New To My Hair/ Skin Care From The Drugstore. 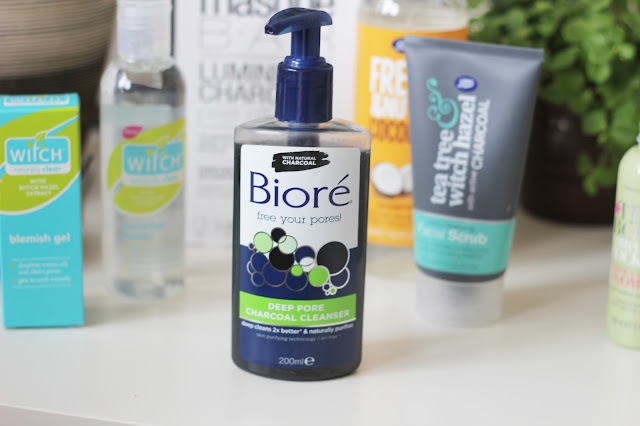 Biore is one of my favourite skin brands, I love the nose strips and they work so well. I picked up this charcoal cleanser to help fight unwanted break outs. Charcoal brings out all the dirt deep down in your pores, I find it leaves my skin feeling extra clean. This product is great for those pesky black heads near your nose to help keep them clear. I find because I wear make up to work, I get warm and when I use this I feel like it does a great job of pulling out all my make up that might be deep into my pores. I have been using a new micella water from Witch Skin care, it is a new release and it is available now to buy. It leaves my skin feeling fresh and soft, it helps to remove any make up I have missed after using my cleansing balm. 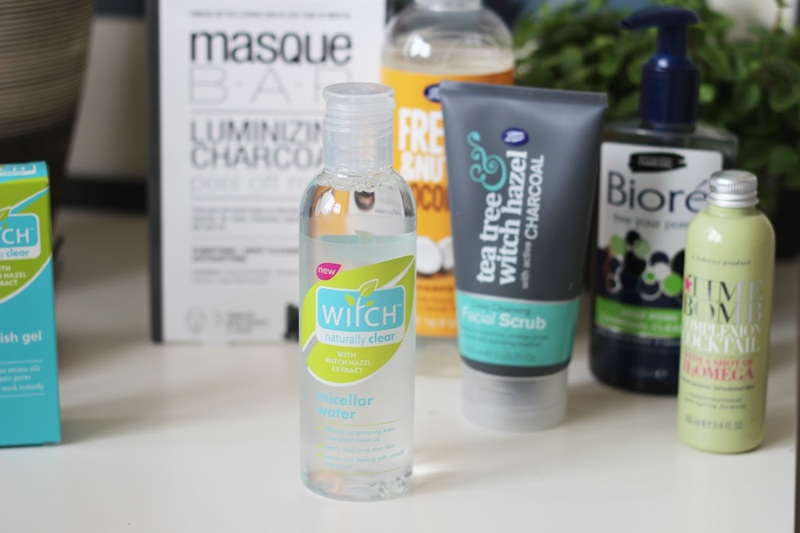 I love Witch it is a huge part of my skin routine and I am now nearly 25. I used it as a teenager and have fallen back in love with it the past year. 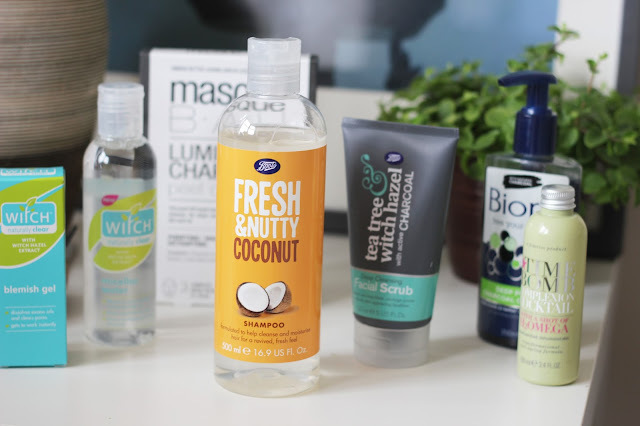 They have so much choice and the witch hazel works wonders on my skin. The Time Bomb cocktail I use at the end of my skin routine because it leaves my skin refreshed, clean and helps to keep my dry skin at bay. It smells amazing and it really works to help me with my dry skin because witch hazel can dry the skin out so with this alongside it it works wonders. I love to use a facial wash that exfoliates too, it helps to remove any dead skin and it feels great to have a deep clean on the skin. I am using this one from Boots and it has tea tree and witch hazel in it, so it works well alongside my Witch skin care routine. This one was on the 3 for 2 offer so I picked it up with the Biore one. 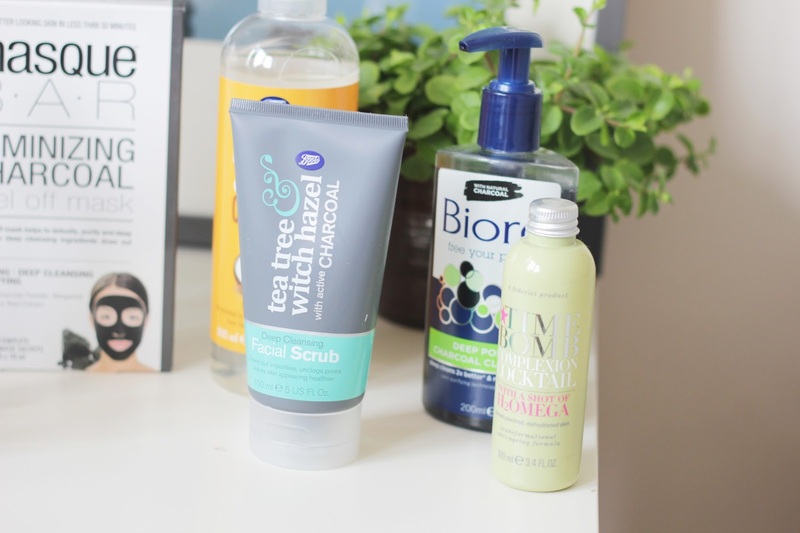 Charcoal is a big part of my skin care this Spring, it seems to be working wonders on removing the dirt deep into my skin. I am a big fan of skin care and using all of these products I feel that my skin looks healthier, glows and is ready for make up. What are you using this Spring? Love the sound of the Biore charcoal cleanser, I love the nose strips too!